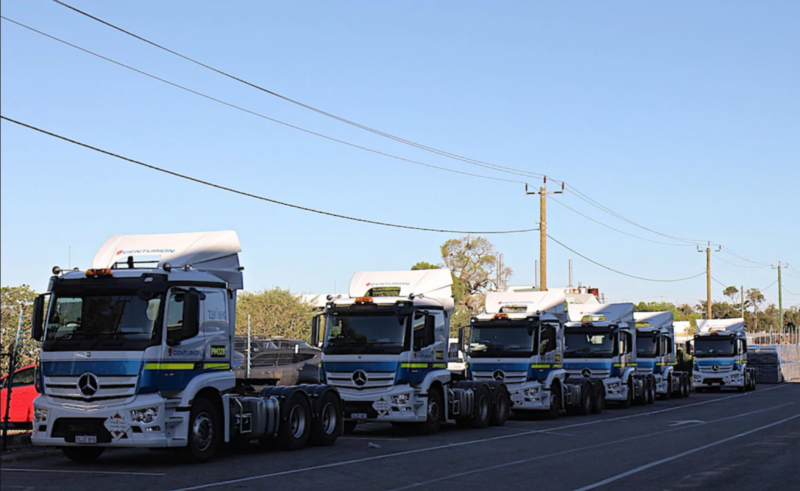 Forty eight new Mercedes Benz Actros trucks have replaced some of Centurion’s aging fleet bolstering safety, efficiency and comfort in the process. The cost of continuous repair and maintenance plus out dated technology signalled it was time to change to new vehicles. After various brands & models of other trucks where evaluated over of many months of testing the Mercedes Benz Actros 2646 & 2651 was chosen as the replacement for our Metro and Regional operations of 12 regional branches. 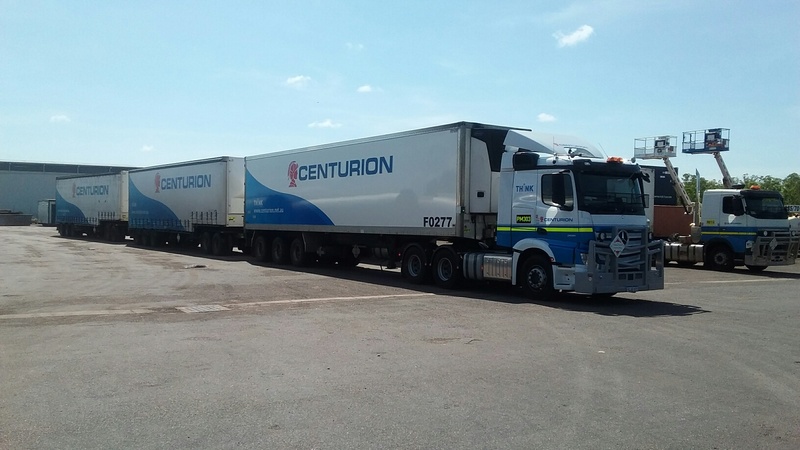 Centurion National Plant and Asset Manager Andrew Foster said the trucks were primarily chosen because for their safety and environmental performance. The Mercedes Actros are also Euro6 compliant resulting in lower emissions and better fuel economy, reducing costs and benefitting the environment. Every truck is fitted with telematics technology. This allows Andrew to see how the drivers are travelling and identify good & bad driving habits as well as reward those who demonstrate a consistent high standard of safety on our roads. The telematics also provide valuable industry knowledge on driver habits and areas for improvement. Read The West Australian’s review of the Actros trucks here. The Mercedes trucks have lots of the luxury elements that you would expect from their cars – smooth and quiet to drive, as well as the stylish dash. Centurion will finish rolling out the new fleet at the end of November.